Children are supposed to be happy. Children are supposed to have fun and education is supposed to be a time where you can make errors. But in many places, that isn’t the case. Sometimes, children grow up denied of education, denied of love. Those children are slaves. Slavery is hard to comprehend. As learners of American history, most will “know” that slavery was “solved” in the 1800’s. Except it wasn’t, and in some ways, slavery is ever more prominent in countries deep in poverty. Now, there are as many as 30 million slaves, and because of the excess labor, slaves come cheap. Each slave, instead of being a valuable asset, is only worth a couple hundred bucks. The cheapest recorded was 18 USD. That makes slaves disposable. If one slave died, no one would care. Another would simply be bought. Slavery, especially child slavery, is equally as harsh as was the kind in the American South before the civil war. Children in many countries across all continents are enslaved. As a photographer shows, they are treated the same and have had to do work since they were young. 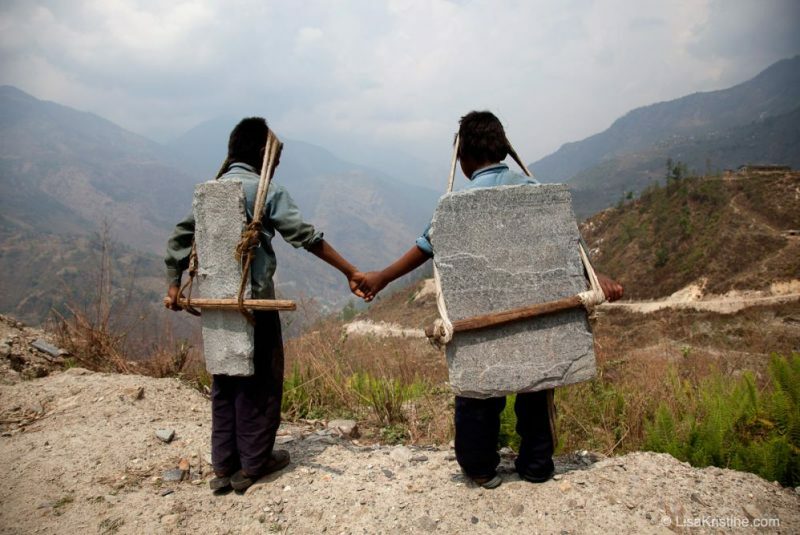 Pictures show children in Nepal carrying rocks that weigh more than they do. These kids don’t get a childhood and are instead forced into servitude. It gets worse when the slave owners say that the food kids get from them becomes the children’s debt. The debt is impossible to pay off and will last generations to come. You are a poor farmer in Nepal. You want the best for your children. One day, a man, usually introduced by someone you know, comes and says “If you entrust your children to me, I will take them to the cities for a better future. In the morning, they’ll be educated, and at night they’ll do some chores so they don’t become lazy.” In a situation like this, most would say yes. And that is the start of the horrible practice of child slavery. The root of slavery is poverty. To stop poverty, there are many ways as suggested by the documentary. Whenever you buy a product, you are voting for or against different people. In essence, buying different products can help make a difference. Many farmers are poor because of a middleman, a man to whom one sells who in turn resells the product. It may seem unneeded, and it is. The middleman usually gives back little of the profit. However, fair trade organizations have worked to wand the organization. It is a “fair” trade, where the farmers benefit a lot more than if trading with the middleman. Through this, farmers can rise out of poverty. After giving money in exchange for the slaves, educating them becomes more important. Organizations like Free the Slaves help make the slaves self-dependent, able to make a sustainable life on their own. In this way, they avoid ever having descendants become slaves. Now imagine an eight-year-old learning of this dire situation and thinking “that could be me”. A girl in the Bay Area thought like that and resolved to help end child slavery. By selling lemonade. Now, it is not a surprise when we learn that the method she used failed. The traditional method of selling lemonade in a cup for a few dimes wasn’t going to free enough slaves to make a difference. But as Apple said, “Think Different”, and never give up. Most people would. But not Vivienne Harr. 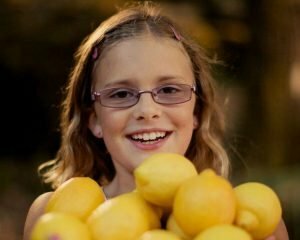 In resolve, she put her lemonade stand the following day. It seemed the same, and yet she started to make it big time. The only difference was that she sold lemonade free. She then asked people to donate to her cause. Quickly, she rose. Soon, the media was after her, and she was freeing slaves. And she just kept going up. This story is meaningful. It is n’t just about child slavery. It expands to every aspect. Never give up.